As lawmakers attempt to fashion an economic revitalization tax package, readers may want to pause and reflect or muse over some of the outrageous assertions made over the issue of raising the general excise tax. Perhaps the most outrageous, if not frightening statement, is that “it’s only a half percent!” And perhaps it is so in the nominal sense, that the proposed increase isn’t even a whole percentage point, not even one-half of a Lincoln penny, that is, until one starts talking about real money. First, there is the well-known fact that vendors will try to accommodate the pyramiding of the new rate much like they do with the current 4% rate by tacking on the pyramid of 4.16%. At the 4.5% rate, the pyramid rate charged would be 4.7%. Now seven-tenths of a cent doesn’t sound like much in pocket change, but look what happens on a million dollars of sales. Under the current 4% rate, the tax passed on to the customer would amount to $41,600 which is the 4.16% rate times the million dollars of sales. Under the 4.5% rate, the pyramided rate would be 4.7% for a tax of $47,000 or an increase of $5,400 in additional cost. Actually there would be another $115 dollars taken out of the business’ mark-up because the 4.5% rate would be applied to the $4,700 passed on to the customer. …economists [pushing the GET increase] give businesses little credit for recognizing the general excise tax for what it is, a tax on gross income. This is why those who have worked with the general excise tax feel so passionately about any increase in the tax rate. As one former tax director who was there when the general excise tax was created back in the 1930’s pointed out, the low rate is very deceiving because the excise tax is added to all transactions, people are not aware of the insidious effect it has on the cost of living and doing business in Hawaii. Indeed, while some economists criticize the Senate version of the tax package as not having enough of a<bang> to do any economic good, they fail to recognize that the increase in the general excise tax will have the exact opposite effect of a major cut in net income taxes. Those same economists give businesses little credit for recognizing the general excise tax for what it is, a tax on gross income. And perhaps that is the very problem with all the analysis that has been made by the proponents of the package. 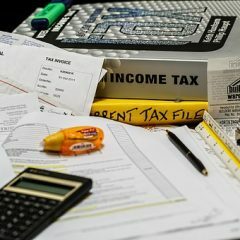 They have relied on economists who are well versed in the economic literature, but who know very little about this tax called the general excise tax. Indeed, the economists refer to the general excise tax as if it is like any other retail sales tax found on the mainland. In fact, they drag out a chart that compares Hawaii’s 4% general excise tax rate against the retail sales tax rates found in the forty some states on the mainland and take delight in showing how low the 4% rate is by comparison. For those who are familiar with the tax, that exercise elicits moans and groans and the reaffirmation that the king’s men do not know what they are talking about. It is indeed sad that tax policy in Hawaii has been relegated to economists who, while they may know about the effect of taxes on the economy, do not understand tax policy. Perhaps that is why Hawaii is in such dire straits when in comes to taxes. …remember, it is not just a measly half percent. Finally, one more misleading point – the 37¢ cup of coffee. The ads make the increase sound like a drop in the bucket, but little does the reader realize that the calculation is made on the assumption that the family only spends $10,000 in purchases that are subject to the 4% general excise tax. Obviously those proponents are wealthy enough to own their own homes, for if they rented, they would know that $10,000 would hardly buy any decent shelter for a family of four. And that underscores again how much the general excise tax is misunderstood. So as we head into these final days of the 1998 session, mind your p’s and q’s and watch out for misleading information! And remember, it is not just a measly half percent.